While a separation of responsibilities is necessary to keep focus within an organization, it has a major downside: The boardroom is often left in the dark concerning IT issues. Executives should be taking an active role in tech maintenance and advancement within the company, and one of the great ways they can go about doing this is through IT-as-a-Service. The first – and perhaps most important – reason why the boardroom should consider ITaaS is the fact that many business IT departments are overworked. A study conducted by Robert Half Technology found that CIOs don’t think they have enough employees to effectively get the job done. In fact, the survey discovered that CIOs think their IT teams should be 58 percent bigger than they currently are. While this makes for a stressful work environment, the real problem with this situation is the fact that stretching IT employees too thin can be dangerous for a company’s data health. PandaLabs, a cybersecurity research collective, observed and neutralized nearly 84 million unique pieces of malware in 2015 alone. That accounts for more than 27 percent of malware observations made by PandaLabs, which shows just how hard hackers are working to steal private information. Leaving something like malware removal to an already understaffed, overworked IT team is clearly just asking for trouble. Building a network for an organization is a very personal experience. 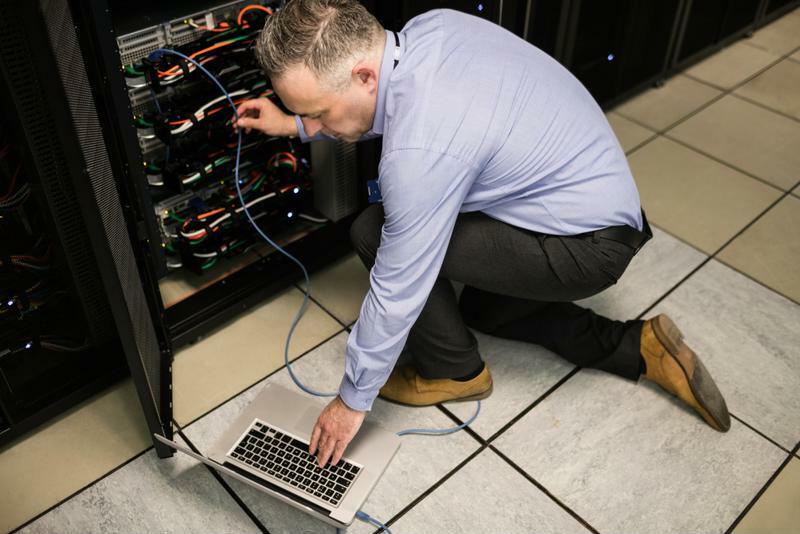 IT workers pride themselves on creating a network from the ground up, but problems arise when these employees get too grounded in their routine and begin to overlook certain aspects. Working with a system for a long time allows blind spots to develop, and it’s often advantageous to have an outside professional come in and assess the situation. A good example of this has to do with the security of company data. An IT administrator working with the local network might focus on educating employees about phishing scams or ensuring that all software is completely updated, but might miss the fact that users are accessing network data through unencrypted means. A network assessment from an outside MSP can help to plug these kinds of holes. Making sure a network is running as efficiently as possible is a major concern. As a rule, IT workers are highly skilled individuals. But, as the above examples show, sometimes they need a little help. This is especially true when implementing a new technology plan, such as a bring-your-own-device policy. With Forrester Research predicting that organizations the world over will be using 200 million BYOD smartphones in 2016, it’s clear this is an important trend. Although BYOD has amazing benefits like reduced hardware costs, it certainly has its downsides. Compliance standards often have strict regulations regarding BYOD, as allowing employees to bring devices from home increases security concerns. Organizations looking to implement such a policy might not be able to foresee all the problems that need addressing, and therefore might increase the risks of a data breach or even downtime. Working with an ITaaS provider such as ISG Technology can mitigate these risks, helping to ensure a smooth BYOD rollout.